Tech in Motion Toronto sprang into spring with an exciting interactive gaming demo at MaRS Discovery District! About a month ago, Tech in Motion San Francisco celebrated a huge milestone; 5,000 members! The chapter gathered at WeWork SF to celebrate together over drinks and networking. 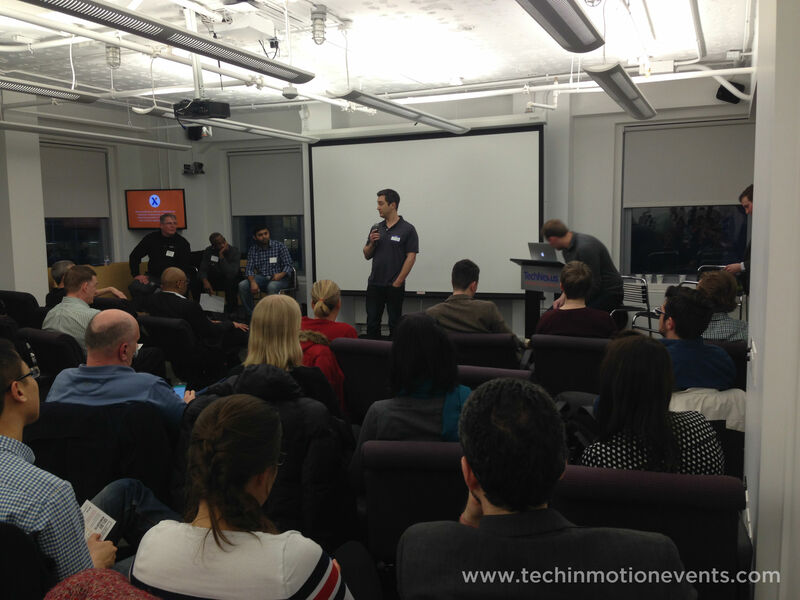 Last March, Tech In Motion Chicago held a panel event discussing one of the hottest tech topics right now - the Internet of Things. Women Transforming Tech: Are there gender inequalities? Just before Women's History Month kicked off, tech enthusiasts in the New York City area gathered at SVA Theater in Chelsea for Tech in Motion’s NYC Women Transforming Tech panel discussion. Last winter, San Francisco techies flew through the industrial doors of Quid to begin a night of networking and data visualization. Within the tech industry, it is becoming increasingly important to broaden our skills and embrace new ones that are paving the way of our future. Walking into a Tech in Motion event for the first time might be overwhelming. Tech in Motion Boston hosted a Fireside Chat with HubSpot this winter at the Microsoft NERD Center in Cambridge, MA, featuring VP of Engineering Eric Richard and VP of Product Brad Coffey. When someone hears the word “Kickstart” it automatically sparks an interest and excitement.